Discussion in 'Nikon' started by ShunCheung, Apr 15, 2019. 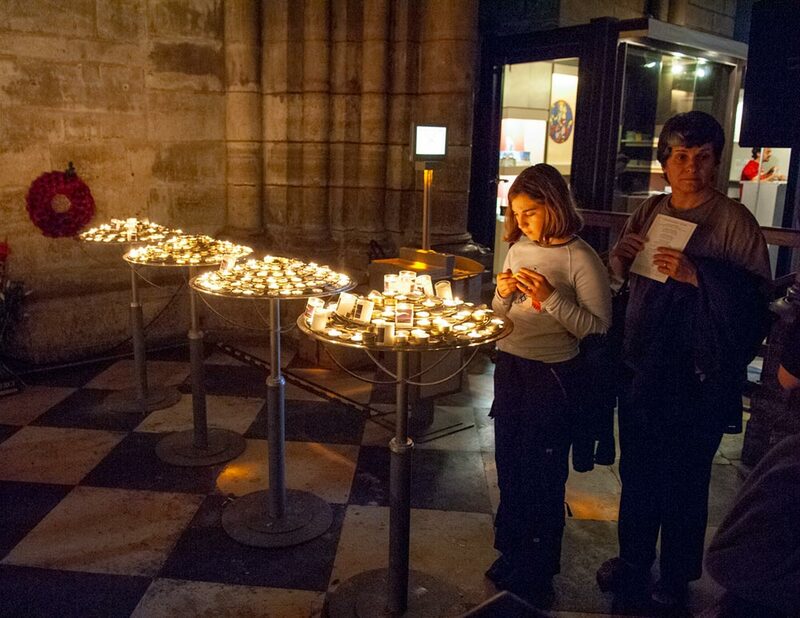 I am sure that most of you have heard of the sad news about the fire at Notre Dame in Paris. Apparently the damage to the cathedral is very serious. 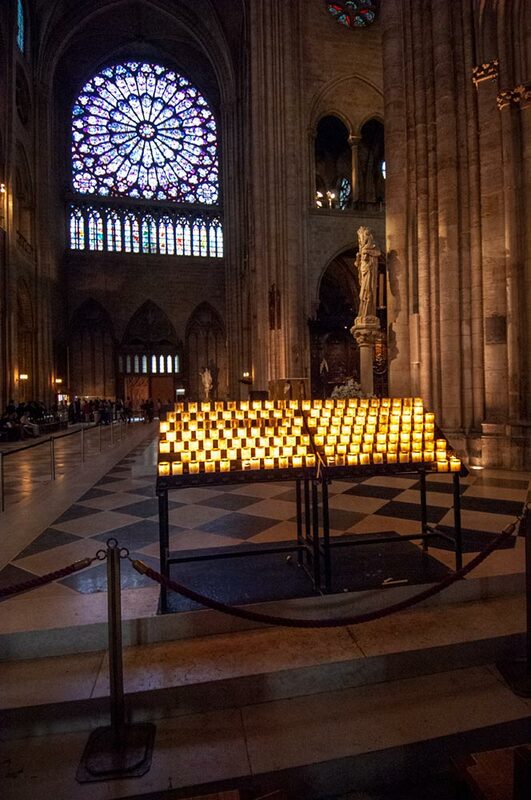 I thought I would start an image thread about the Notre Dame. Please use similar rules as Nikon Wednesday: limit to 3 images per member, image must have been captured with either a Nikon camera or a Nikon lens (or both). I have been there only once, in September 2005. My main camera back then was a Nikon D2X with a 17-55mm/f2.8 DX AF-S. This image was captured at 17mm, f2.8, 1/30 sec and the D2X's top ISO 800. Digital camera technology has come a long way since 13+ years ago. paul_b.|1, Kent Shafer, William Michael and 6 others like this. It is very hard to watch such a beautiful, intricate, historic architecture being destroyed. So much history, novels, stories, movies are linked to this magnificent structure. I do have some photos of it but not sure where they are now. No photos, but a heartfelt sense of loss in art, history, and architecture. I pray no one was hurt or killed. Andrew Garrard and Mary Doo like this. tom_halfhill, paul_b.|1, jerry_wilson|3 and 12 others like this. Nice images, Dieter, but I think both of us are somewhat limited by the technologies from that era. I didn't get any good exterior images, but I was fascinated by the tinted windows and the candles inside. Wish I had the low-light capability from the D5 or Z6 today, but sadly, there is not going to be another chance for me. Even though the French rebuild, it won't be quite the same any more. And who knows how long that will take. paul_b.|1, jerry_wilson|3, Jon Eckman and 5 others like this. tom_halfhill, paul_b.|1, Kent Shafer and 7 others like this. paul_b.|1, Kent Shafer, Jon Eckman and 8 others like this. Despite being, by the standards of group members, relatively local, I never managed to go - although I very much would have liked to. 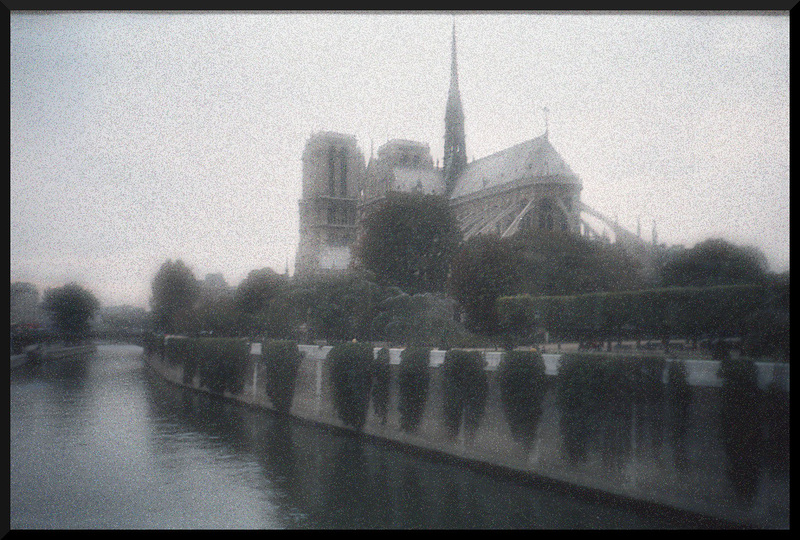 I believe my mother once visited - one of my early memories is of a View-Master toy that had images of the cathedral. Desperately sad, and a great cultural loss; several parts of it have been rebuilt before (including the windows and the spire that collapsed last night), and there have been a couple of large pledges of financial assistance, so we have to hope that it can be restored - but you can't entirely replace history. Since there was already a restoration effort under way (which may have been related to the fire), the good news is that at least some statues weren't in place at the time, and it's possible that some of the damaged areas would have need major repair anyway - but that doesn't offset the amount that has been lost. I'm still hearing conflicting reports of whether any of the stained glass has survived; I just hope that the structure can be stabilised. My thoughts to the country who have lost this treasure, and to anyone who has associations with the cathedral. I look forward to seeing more images of happier times on this tribute thread. Thank you for starting it, Shun. Jon Eckman, Mary Doo and DavidTriplett like this. From an architect's perspective, interior images I'm seeing this morning suggest much of the stone roof/ceiling vault remains intact, other than an area immediately below the transept. This is encouraging, as it suggests most of the fire damage was limited to the wood roof structure, and the stonework vaults are mostly OK, other than at the crossing of the nave and transept. Still need to see more detail to better understand extent of the damage. For those who do not know: All of the primary structure of the cathedral is built in stone, including the vaults and arches over the nave, the famous flying buttresses, the bell towers, etc. The part that was combustible was the wood framing under the pitched roof, which spanned across the stone arches/vaults below. (In exterior photos, the wood trusswork supports the steeply sloped, green copper roof over the nave, transept, and choir.) The stone is what one sees from inside the nave. The spire was supported and braced, at least in part, by the wood structure of the roof, and was built of wood, which is why it collapsed when the roof structure burned. This collapse would have placed unintended loads on the stone structure below the spire, resulting in a local collapse. The other area of concern is the stone gable ends on the transepts, which were braced by the wood roof. You can see these at each end of the transept. Today they appear as tall, triangular walls without any backing. The risk is that these very tall walls depend upon the (now missing) roof structure to brace them, and they are extremely vulnerable to any "out-of-plane" force, such as a stiff wind, which could cause them to tip and collapse. Bracing these will be an urgent necessity in preserving the historic building from further damage. Watch for scaffolding to quickly rise around these features. The bell towers should be at little risk, as they are almost entirely stone and did not depend upon the roof structure for bracing. As regards the potential for restoration, keep in mind there were many historic churches in both England and Germany which were severely damaged in WWII, and which have since been restored. Even the Soviets managed a major restoration of the Hermitage in St. Petersburg (Leningrad), which was gutted during the seige of that city. 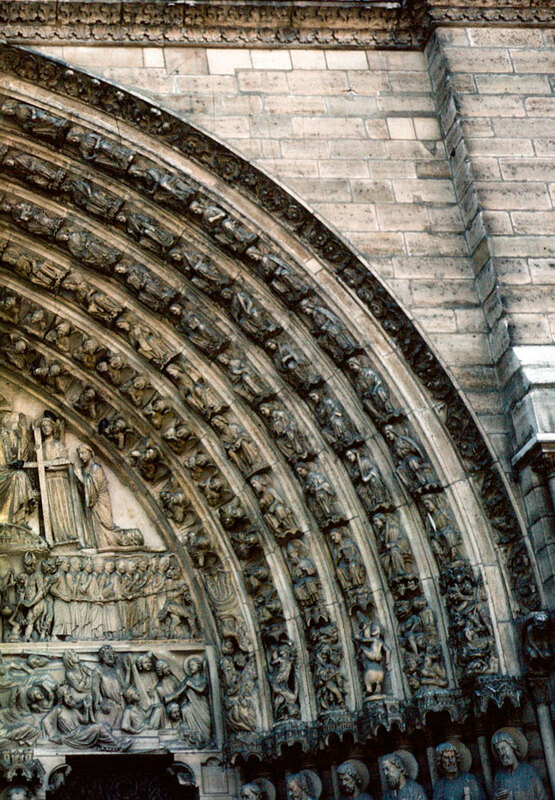 All things considered Notre Dame looks to be eminently repairable, though the loss of historic fabric and art is certainly to be mourned. It will be interesting to see if there is a push to retrofit fire sprinklers into this and other historic buildings. A fire sprinkler system within the wooden roof/attic would almost certainly have prevented or mitigated this loss. tom_halfhill, 10967057, Kent Shafer and 8 others like this. Just connected the hard drive with the original images - it was the Nikon AF-S 12-24/4; the only other option would have been the original AF-S 24-85/3.5-4.5. Yeah - I bracketed nearly every shot because the dynamic range of the D200 wasn't all that great (and neither was the ISO performance at anything above about ISO 1000). Besides, my HDR processing back then could use some improvement too; I'll try to re-process some of those images (and process some I never even touched). None of my lenses back then had VR - something that would have certainly helped, especially inside the rather dark cathedral (or bringing and using a tripod). Yes, the latest reports I saw suggest that all the rose windows (although not all the rest of the stained glass) may have survived, which is a remarkable effort by the 400-ish firemen pointing high power water jets at the building; I was amazed how much seemed to be intact, although knowing whether it's warped when examined more closely is TBD. It looked as though the altar and (wooden) pulpit survived, too. There was at least some stone in the roof - someone on the radio at lunchtime was reporting that when York Minster was on fire a few years back they could drop the wooden roof to contain it, but that this wasn't an option for Notre Dame. I don't know how hard the roof would have been pushing outwards on the walls (countered by the buttresses) and whether there's a risk of them falling inwards; some of the scaffolding seemed still to be intact, and that may be a good start as a bracing job (and a hazard of falling objects until it's managed). The lead from the roof may also be an issue, since I believe it melts and runs when old buildings go up; at least officials seemed confident that the relics were protected. The firefighters were trying very hard to protect the towers and the content at the cost of the roof (or at least, they gave up on the roof early), as I recall; if the stone held, it was the windows that I'd not expected to handle the fire, wind pressure and water. It sounds as though the damage is at least a lot less bad than many people were expecting. It's going to cost a lot of money to fix (last I heard there had been three donations totalling 400 million euros, so that's a start) and it's going to be off limits for sight seeing, but there's a lot of will in restoring it, so I hope it'll be back to some semblance of its former glory by the time I eventually get to visit. And I should - it's easy to forget how ephemeral even a building like this can be. (See also people recently scratching graffiti into the Ring of Brodgar.) Enjoy these remarkable places while you can, and share your pictures and memories. 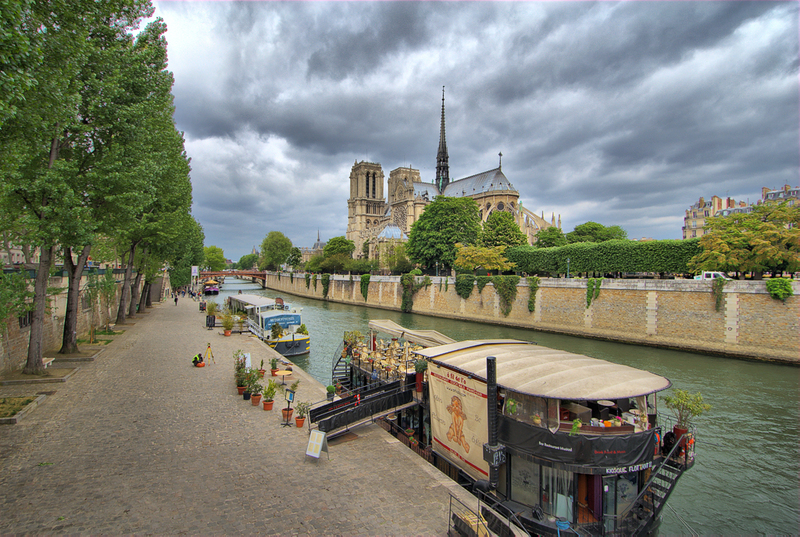 I wish I had some of Notre Dame to share. Jon Eckman, DavidTriplett and Mary Doo like this. Hopefully, yes, but I'm pretty sure the windows, including the rose windows, in the gables of the transepts were destroyed. They would have been exposed directly to the heat of the fire. The much larger rose and other windows located below the level of the ceiling, and visible from inside the sanctuary, appear to be intact. Again, there appears to be a major separation in the level of damage at the stone ceiling vaults. Everything between the top of the stone ceiling and the underside of the roof appears to have been destroyed, but a very large fraction of building elements below the stone ceilings, and hence not within the primary fire area, appears largely intact. Local collapses have caused significant damage, and there will be a lot of water and smoke damage. I've seen at least one Paris PD drone image from last night in which you can see burning debris resting on top of the stone ceiling vaults, so they acted fairly well as a fire separation. Jon Eckman, Andrew Garrard, Dieter Schaefer and 2 others like this. 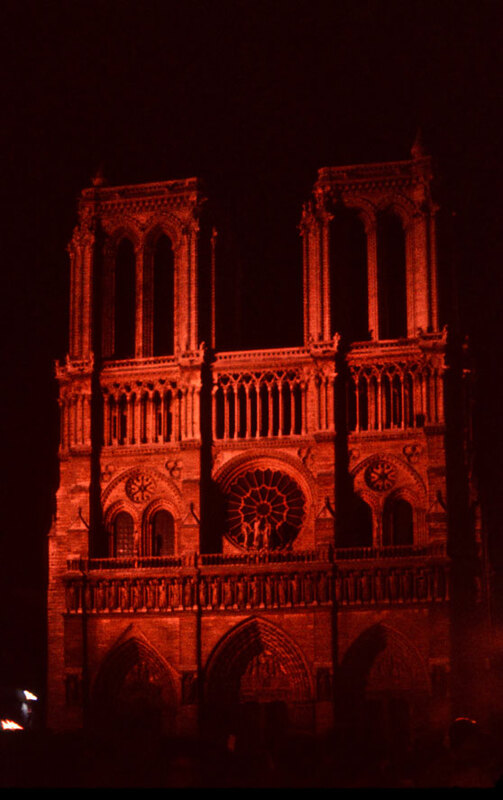 Notre-Dame 2007. Nikon D2X and Nikkor 17-55 mm f 2.8.
paul_b.|1, jerry_wilson|3, danny_o' and 7 others like this. Between rescue during the fire and the removal of things for the on-going work, less was lost than one would suppose. Andrew Garrard, James Bryant, DavidTriplett and 1 other person like this. At least the fire occurred after the cathedral had close for the day. No one was killed and no one was seriously injured (although I understand a few first responders were injured but not seriously). Buildings can be replaced; lives cannot. 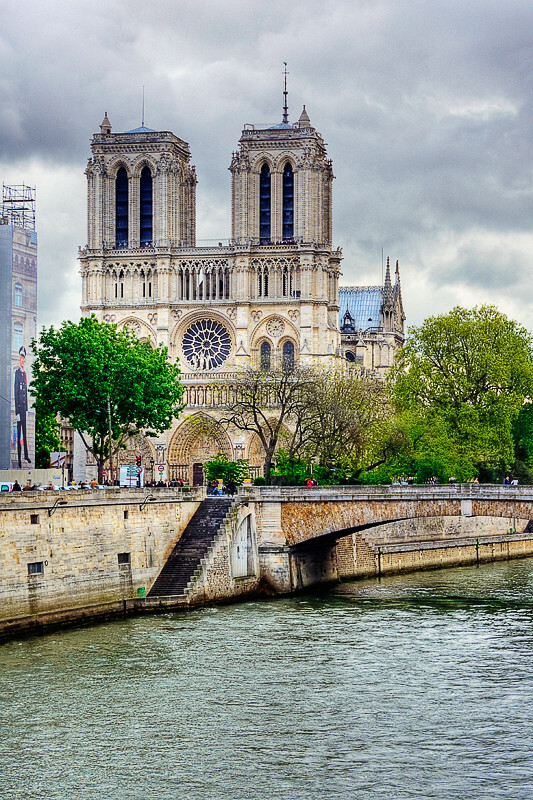 Notre Dame is one of the better documented historic building. With the renovation that were being preformed, I suspect there are very good engineering and architectural drawings of the building. The art work has been catalogued and reproduced in many books, photographs, and drawings. There are many, many photographs of the interior and exterior. Repair should be simply a matter of time and money. Jon Eckman and Mary Doo like this. Repair should be simply a matter of time and money. And competent tradespeople. (Just try and buy high-quality terra-cotta reproductions today. Even the still-operating manufacturer's can't seem to match their own work of 100 years ago.) Thankfully France is blessed with a good base of qualified people with skills working in traditional materials and arts. 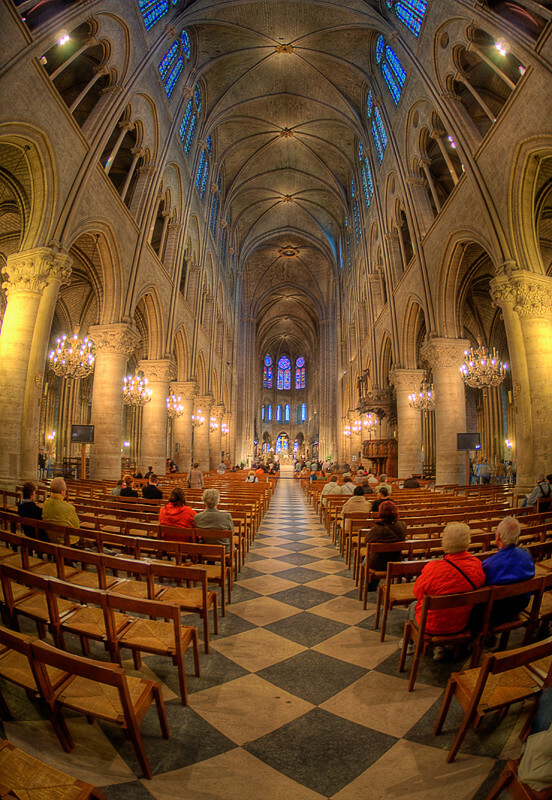 I suspect the restoration of Notre Dame will occupy a substantial fraction of the qualified craftsmen for a substantial period of time. Other projects may be hard pressed to compete for resources. My practice has included quite a bit of historic preservation and restoration work, and it's true that "God is in the details." It will be very interesting to examine the decision processes that take place in regards the restoration work. JDM can speak authoritatively on the challenge of what one chooses to preserve or restore, when one frequently is dealing with a thousand years' of overlaid and interwoven historic fabric. In this case they will need to pick a set of specific historic conditions and rebuild to match those conditions. Again, the choices made as to where to apply modern materials and technology, and where to re-apply historic materials and craft will be fascinating, not to mention how one applies modern codes to such work. Jon Eckman, bgelfand, Andrew Garrard and 2 others like this. Initially I heard from the news that it would take about five years to rebuild and restore; just now "restoration experts" estimate 10-15 years to fully restore. I read somewhere that rebuilding the roof will be a problem, because there are no trees in France that are tall enough to support it. Too bad redwoods/sequoias are protected in the US. 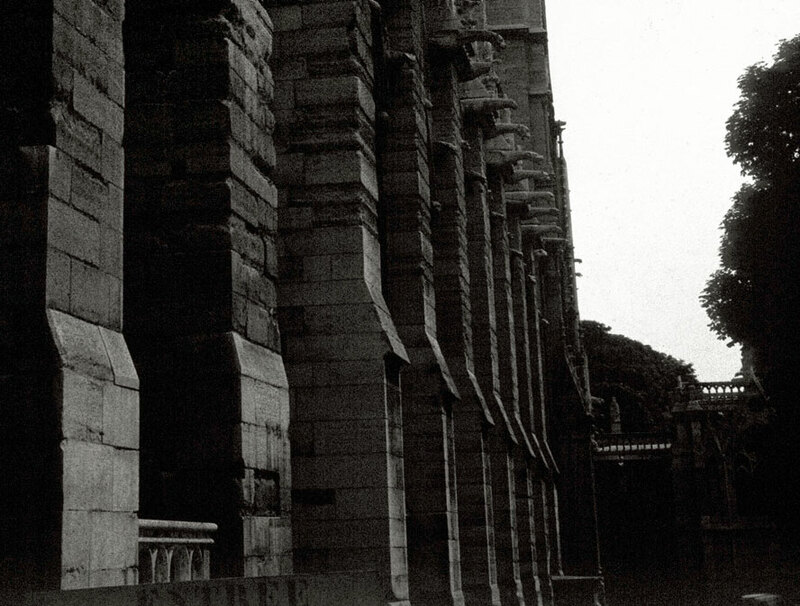 Some sources have noted that the cathedral had been very poorly repaired and 'restored' in the 19th c. There were also growing complaints that the fabric was deteriorating over the last 50 years or so. Perhaps a new restoration that is 'better' will be the silver lining to this cloud. Perhaps a new restoration that is 'better' will be the silver lining to this cloud. History seems to suggest that "better" = "better funded". A catastrophe like this fire is often the impetus for a funding drive that is far more successful than efforts to raise enough money to support a long term, ongoing maintenance program. This will get done, and likely done well, but in 200 years somebody will be complaining about lack of maintenance for the historic repairs of 2019-2024.
rebuilding the roof will be a problem, because there are no trees in France that are tall enough to support it. Um..., It's not about "tall enough". There's timber sufficient to construct new roof trusses, even if they have to use modern, laminated timbers, and/or different species of wood. The question is the degree to which they decide to replicate the historic construction, versus the use of more modern materials and techniques. Like I said above, this will be a very touchy conversation, and one in which there is no single "right" answer. It would seem the height of foolishness to exactly replicate dangerous or known weaknesses solely in the name of historic accuracy, particularly in a building which hosts large groups of people and houses extraordinarily valuable art and artifacts, not to mention being a cultural treasure in its own right. Our own NPS standards would have us correct such issues, while honoring and reflecting the historic materials and techniques being replaced. 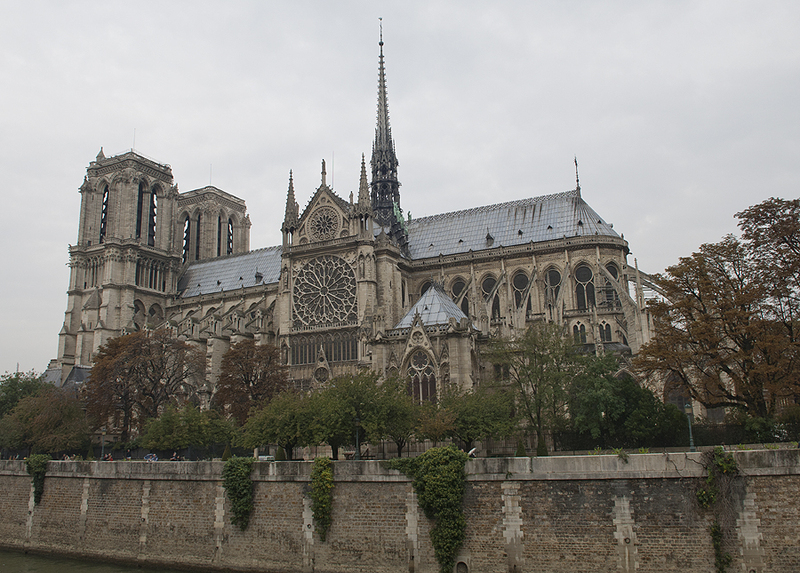 I will be very surprised if they don't go to some lengths to lighten the weight of the the roof, its supporting structure, and the spire, as well as improving fire protection and structural performance, while returning the appearance to its pre-fire conditions. The many tons of lead previously in the roof and spire are unlikely to go back up, and will be replaced by like-appearing substitutes, while the salvaged statuary and architectural components go on display in a museum. Jon Eckman, bgelfand, Supriyo and 1 other person like this.